The oldest Chinese painting on paper, entitled Five Oxen, is one of the highlights of the art collection of Beijing’s Palace Museum. Created by Han Huang, a prime minister during the Tang Dynasty (618-907), the art piece vividly depicts five oxen from various angles. It is said that the painting, which is over 1,200 years old, endures because it was painted on Xuan paper, a high-quality paper made in Anhui Province. Many ancient calligraphy works and paintings in China would not have survived until today if not for Xuan paper. Xuan paper is mainly made from the bark of sandalwood trees and rice straw. Its age-defying and moth-resistant characteristics allow it durable, and its smooth surface and superb ink-absorption capacity make it perfect for capturing the soul of traditional Chinese painting. 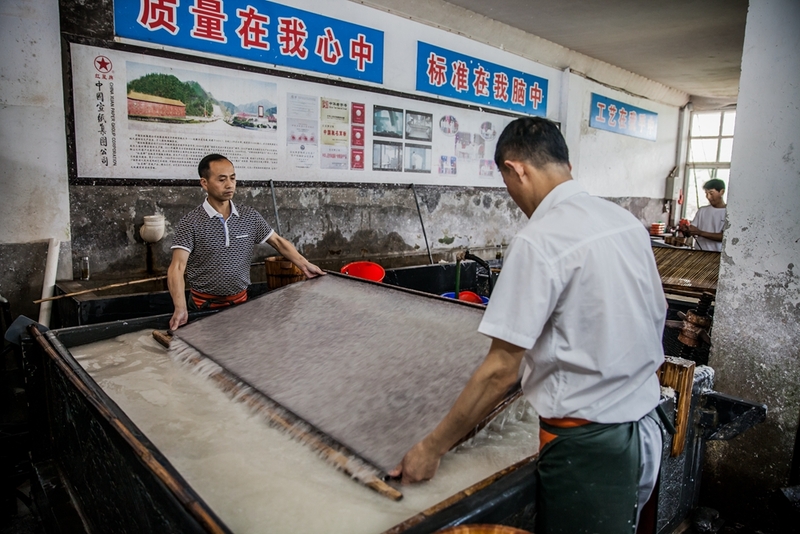 Papermaking is one of the Four Great Inventions in ancient China--papermaking, gunpowder, printing and the compass. Historical records show that Xuan paper has been widely used since the Tang Dynasty. 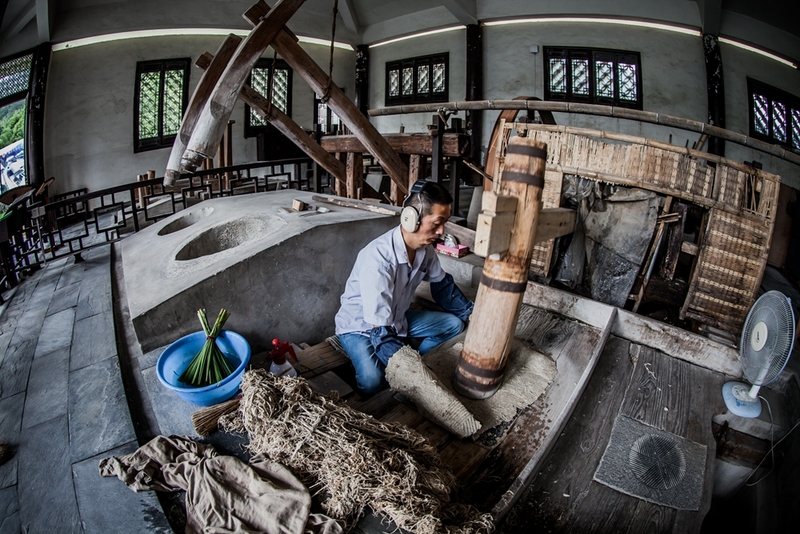 In 2009, the traditional process of making Xuan paper was inscribed on the UNESCO Representative List of the Intangible Cultural Heritage of Humanity. The best Xuan paper comes from Jingxian County, Anhui, which is blessed with unique water quality and a mild climate. 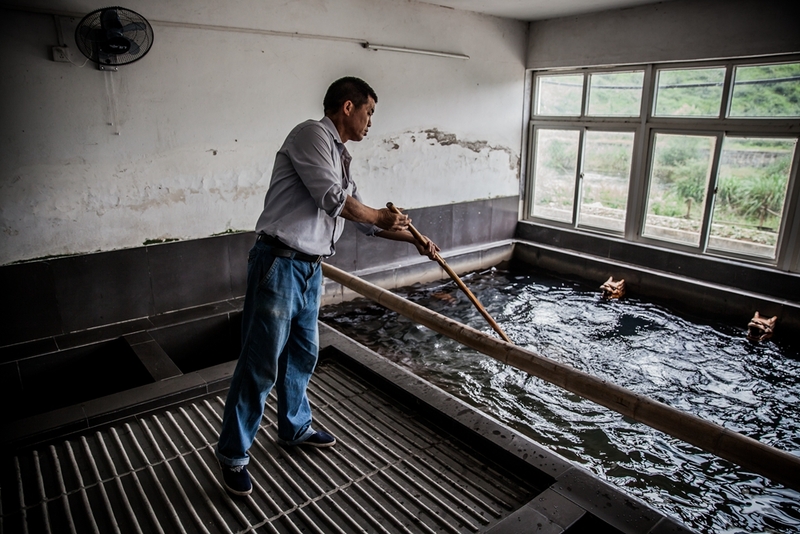 The traditional process of making Xuan paper by hand consists of more than 100 steps, and the entire process takes more than two years. The county produces 800 tons of Xuan paper annually, of which 80 percent is produced by the China Xuan Paper Corp. under the brand name Hong Xing, or Red Star. Production of traditional Xuan paper is restricted both by its long manual production process and the availability of raw materials. Its sales, meanwhile, are subject to competition from machine-made special artwork paper. 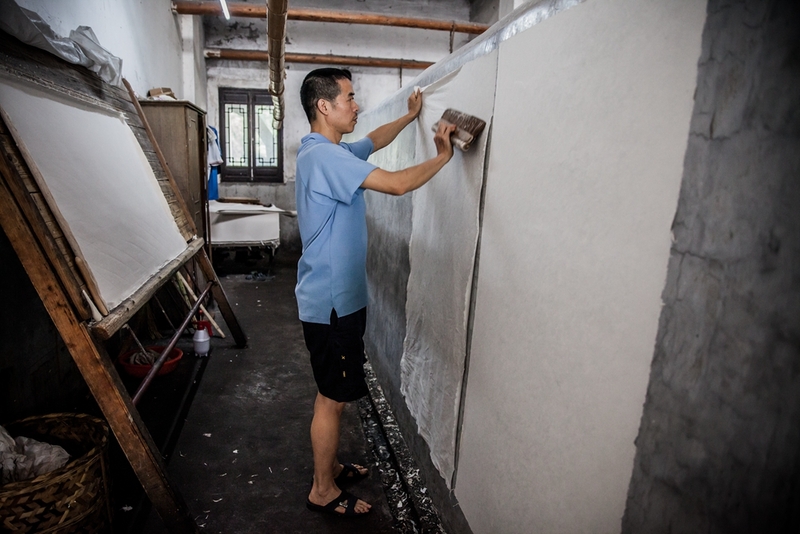 The skills of making Xuan paper have been passed down through generations of artisans. Zhou Donghong, a master papermaker with the China Xuan Paper Corp., has mastered the skills over three decades of practice. He is committed to transmitting the precious intangible heritage.